The identity of an overseas-based private equity firm who remain in talks to buy Blackpool Football Club can now be exclusively revealed. The Gazette reported back in March that the firm had lodged firm interest in buying the club. However, while an offer was reported to be on the table, it involved the interested party leasing the Bloomfield Road stadium as part of the deal. The idea of a company renting the stadium would be deeply unpopular among Blackpool’s fanbase who have made it abundantly clear they want no Oyston involvement in the future of their football club. The Gazette can now reveal the company behind this bid is Havensight Capital, a company based in the Virgin Islands, and it is thought they are still trying to do a deal with Owen Oyston. The company claims to specialise in investing in “stellar consumer product companies that have either a technological advantage or have the potential to be exceptionally disruptive in their respective markets”. When asked to comment, Benjamin Woodhouse, director of Havensight Capital, said: “Havensight Capital LLC does not comment on potential acquisitions. In 2016, Havensight were accused of publishing a “false and misleading” press release in which they announced a tender offer for the shares of shipping company FreeSeas. A year previously, they launched lawsuits against both Google and Facebook. The company owns St Thomas FC, a manufacturer of football equipment and casual apparel. Havensight are also involved with a golf brand, a men’s razor company, website design firm and a financial convenience company. Any potential deal for the club appears unlikely given the legal obligations Oyston currently faces. The 84-year-old still owes £25m to the club’s former director Valeri Belokon to buy back the Latvian’s shares after it was ruled in the High Court last year that Oyston had “illegitimately stripped” Blackpool FC of assets after it was promoted to the Premier League in 2010. 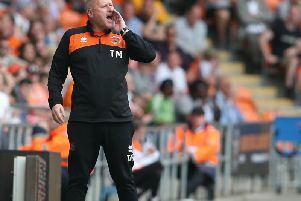 It was found that the Oystons had unfairly prejudiced Belokon, who accused them of “improperly” extracting tens of millions of pounds from the club. The club was put up for sale four days later. Oyston claimed on April 26 that the club had reached an agreement with an unnamed investment group but, over a month on, no further details have been revealed. Belokon, meanwhile, intends to continue legal enforcement action to recoup the funds he is still owed. His lawyers, Clifford Chance, are awaiting a further court hearing to approve orders of sale. Twenty-four properties are due to be sent to auction, along with shares in seven companies. Among them is Blackpool Football Club (Properties) Limited, Oyston’s company that owns the football club, Bloomfield Road stadium, Squires Gate training ground and the Travelodge hotel.